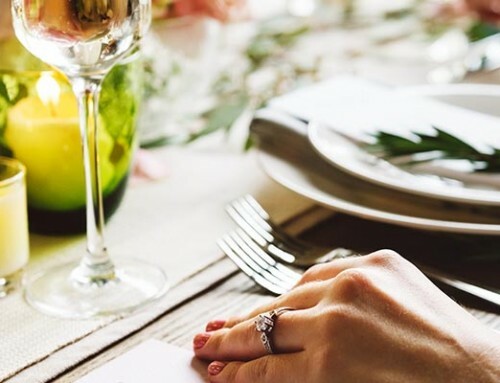 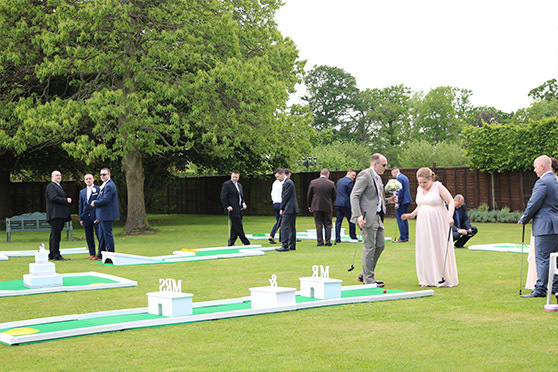 Summer is now officially open for the wedding season and we could not be more excited to help Ella and Nathan organise a memorable day for their family and friends. 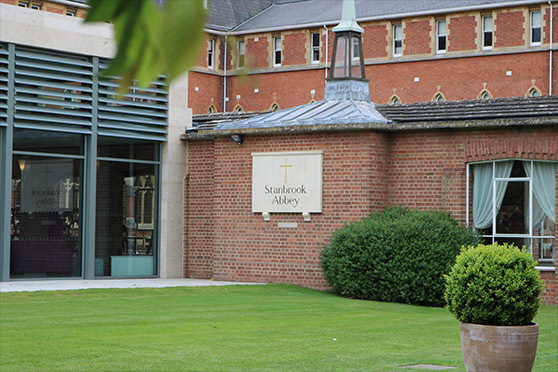 The wedding was held at Stanbrook Abbey which is set on a 26-acre estate, this chic hotel in a former 16th-century monastery is 5 miles from Worcester Cathedral and 10 miles from Croome Court mansion and gardens. 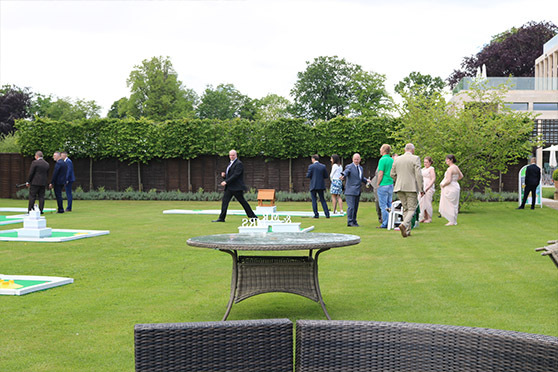 The venues was breathtaking and the ceremony was beautiful. 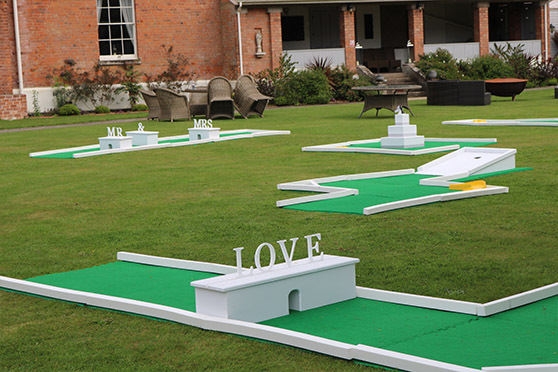 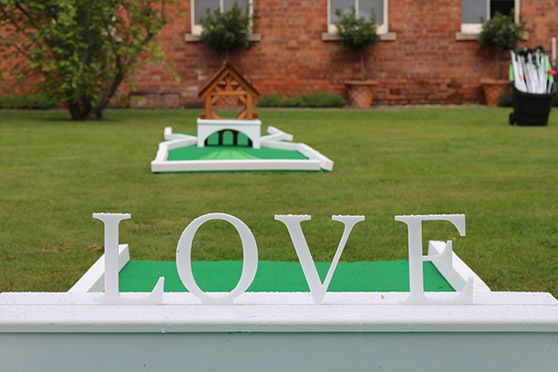 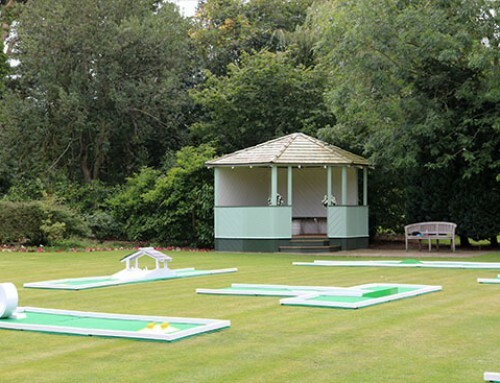 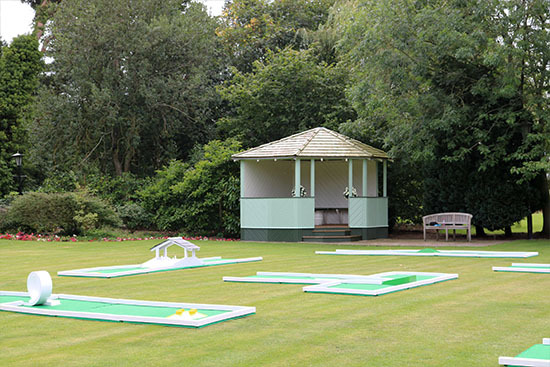 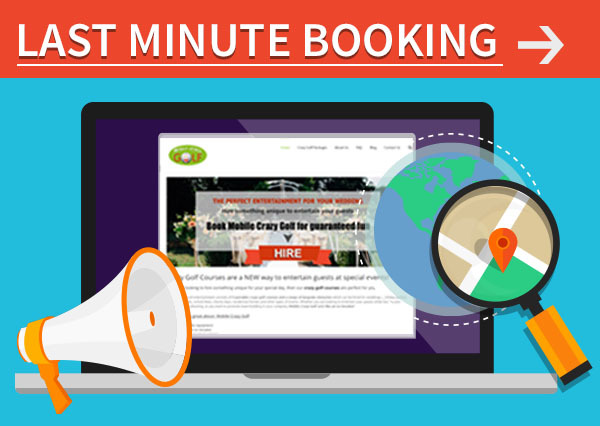 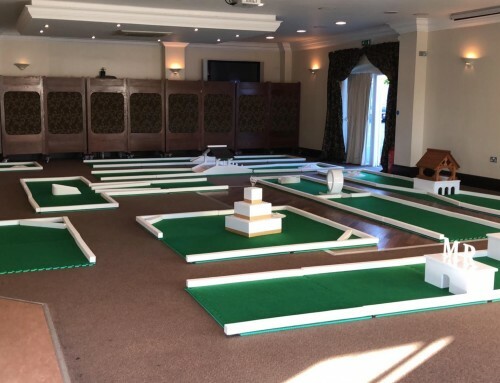 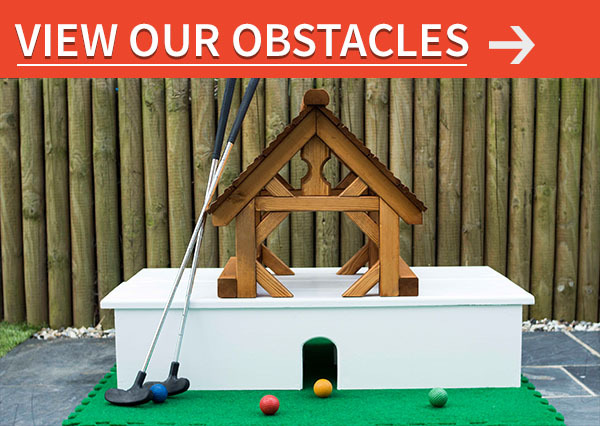 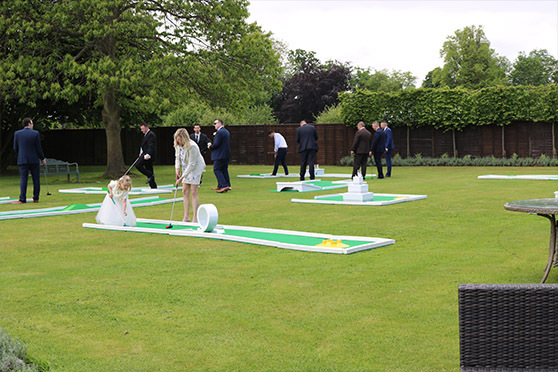 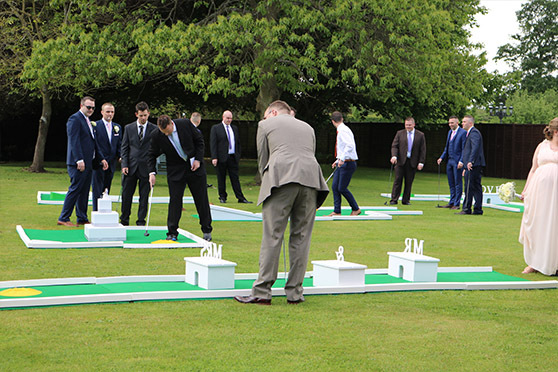 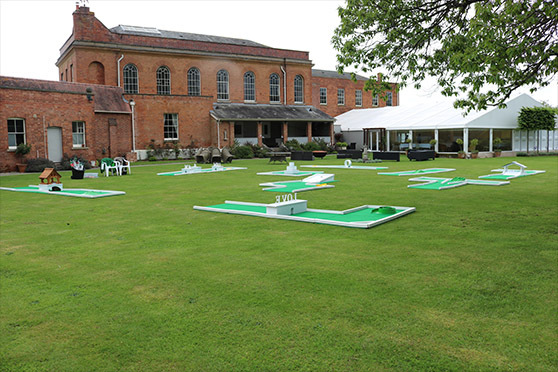 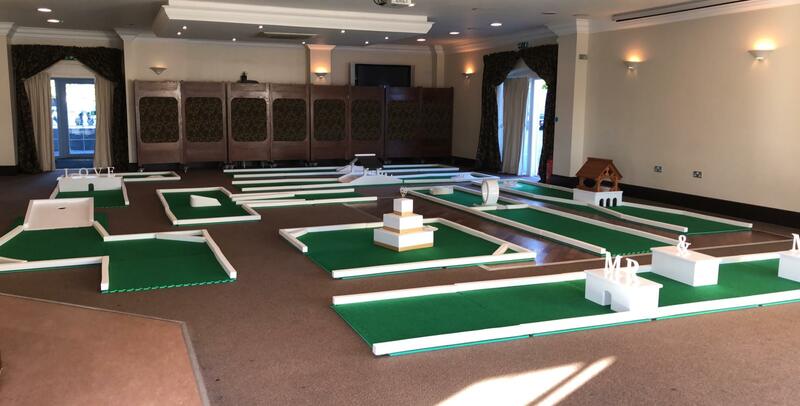 To keep the guests entertained throughout the day, the couple decided to hire our Mobile Crazy Golf equipment. 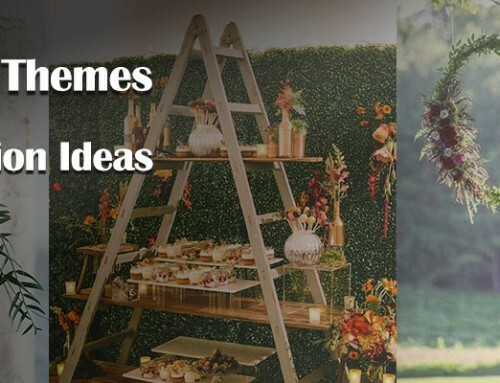 And what a great idea everyone thought it was! 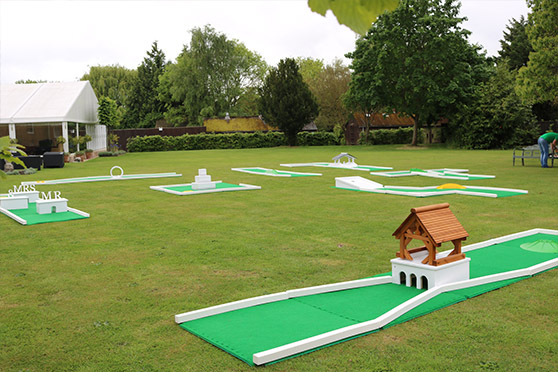 From small to big, no matter the age, dressing code or how flexible you are, the most important thing to have when playing portable golf is having fun – and not some ordinary fun, but a crazy one. 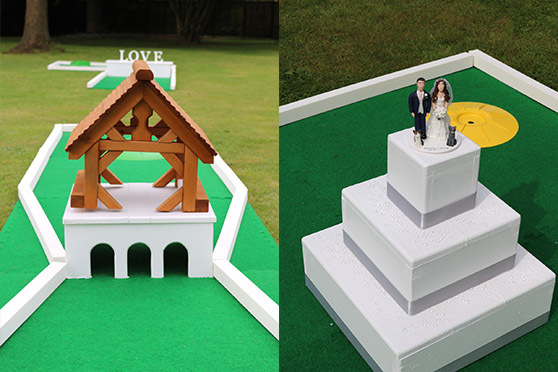 We were pleased to make an exception for the couple who kindly requested to change their wedding topper on our cake obstacle. 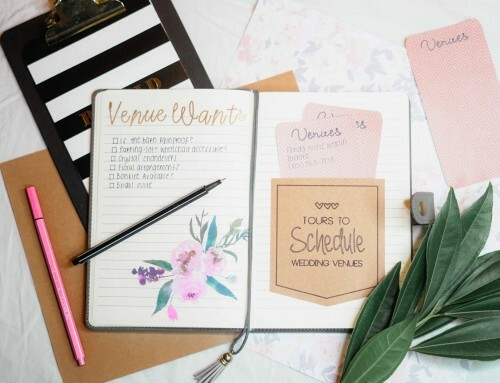 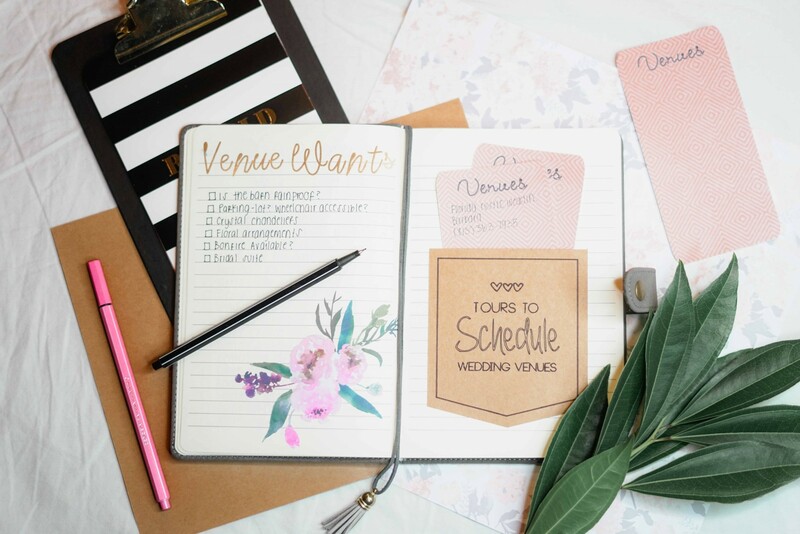 Our team is always dedicated to providing the best customer service and customise the equipment in line with the wedding theme as much as possible.